Douglas fir is our second most important commercial forest species in New Zealand, with around 110,000 ha supporting an annual harvest of around 350,000 m3. It is a species that produces timber well-suited to structural applications and is recognised internationally as a premium structural timber. It grows well on many sites in New Zealand and is regarded by many forest owners as the most favourable alternative species to Radiata pine. In particular is performs better than Radiata pine on snow and wind-prone sites. A limitation for growers is its slower growth rates and longer rotations (than Radiata pine). 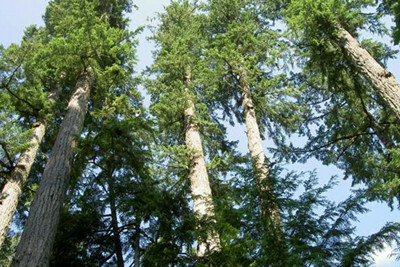 Improving its vigour and tree form whilst maintaining wood stiffness has been identified as a priority by forest owners at a recent Specialty Wood Products partnership Douglas fir workshop. This workshop was also attended by Professor Glenn Howe, who is the director of the Pacific Northwest Tree Improvement Research Co-operative. This international exposure will help guide the NZ Douglas fir programme. 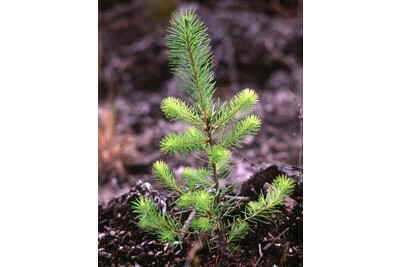 New Zealand has a Douglas fir breeding programme dating back to the mid 1950’s when the first provenance trials were established by the NZ Forest Service using seed imported from the USA. Through the efforts of the NZ Forest Service, and subsequent contributions from the Forest Research Institute, Scion, the Douglas fir Research Cooperative, the Future Forests Research Diverse species programme and now the Specialty Wood Products partnership, this improvement programme has been supported by industry and government for over 60 years. Improved seed is available from this programme with trials demonstrating that gains in form, vigour and wood quality are achievable using this improved material. Improvements in Douglas fir’s ability to deal with diseases such as Swiss Needle Cast is also considered very important. New and emerging technologies such as genomics and new breeding technologies have the potential to deliver further gains in the above traits and disease resistance, and to deliver these faster to industry than is possible with the conventional breeding techniques used over the last 60 years. Using these technologies to find ways to reduce or eliminate the spread of wilding seedlings from new plantings will also be a focus of future research as this as seen as a negative impact of planting that may result in “license to operate” restrictions for Douglas fir in many areas.